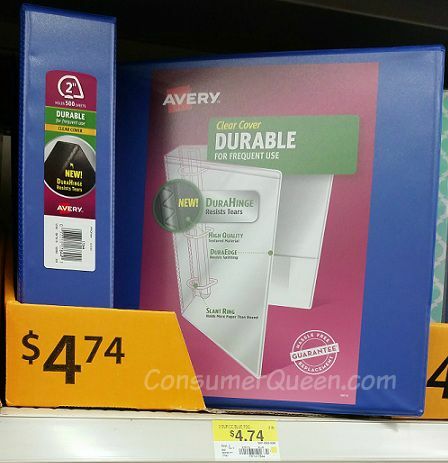 Cheap Couponing Supplies at Back to School Prices! As we always teach in our classes, one of the cheapest times to buy items for couponing is during the back to school sales! We couponers use many of the same items as the kiddos so when they’re on sale we can score! While at Walmart today we took several pics of items you might need for couponing. Keep in mind some of these items may go on sale or clearance later on for an even better deal – and you can always price match! Melissa and I are firm believers in the binder method for organizing your coupons. You can see all your coupons without having to dig through a bunch of them to find the one you want. It also keeps them nicely organized for planning your shopping trips. We recommend not buying anything smaller than a 2 inch binder. 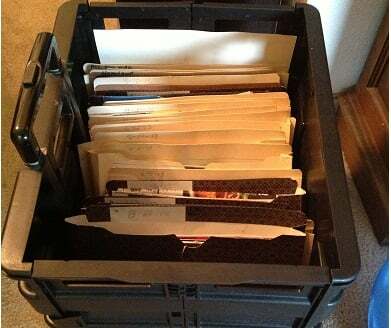 As well as a binder, you’ll need items for organization. You’ll be able to find pouches to hold your rainchecks, CVS ExtraBucks etc. as well as clear sheet protectors to hold copies of your store’s coupon policy. Look for packs of tabs for dividing your coupons into categories. You’ll find them cheap too! 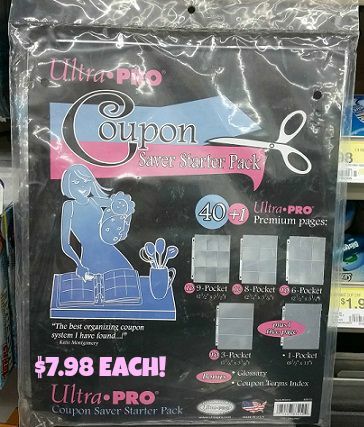 We found this pack of pages to hold your coupons. They were up front by the register with the baseball cards – you’ll have to check each line as they aren’t at everyone of them. Another thing we teach in our classes is not to waste time cutting out every single coupon from the Sunday inserts. We advocate keeping your whole inserts (minus any coupons you cut out because you know you’ll use it) organized by the week they come out in. For example, this coming Sunday is July 26th. I will put every insert I get on Sunday into a folder and mark it with THAT Sunday’s date. Then I will put the folder in the FRONT of my file box. Read more about how to organize your coupons here. 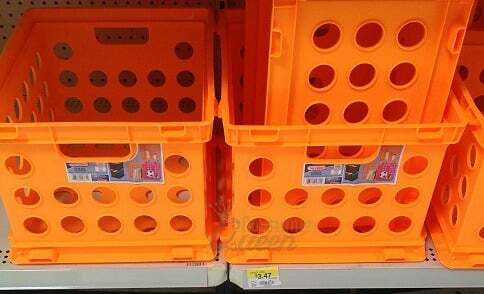 We have given the crates below away as prizes at our coupon classes before. At the end of the back to school season last year, Walmart had them on clearance for a buck! They’re great for storing your inserts. Buy the time you run out of room, it will be time to toss the coupons from the folders in the back and move them up front for future inserts. That’s it for now, we’ll continue to post deals as we find them. Now get out there, grab your supplies and get to couponing!